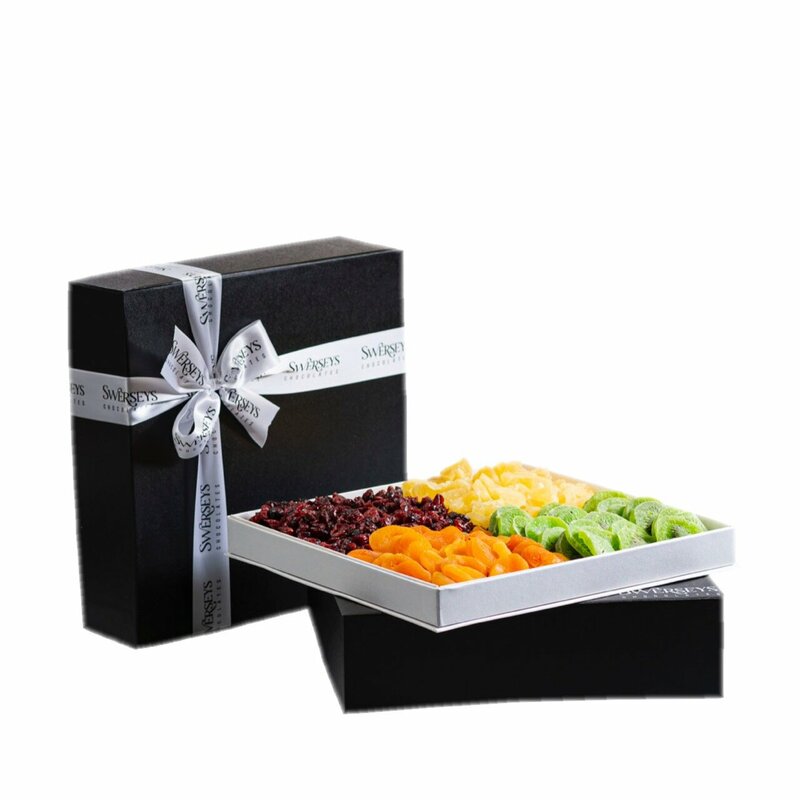 Let them know how much you care and wish them the healthiest year with our exclusive variety of dried fruit. The selection features dates, prunes, figs, pineapple, apricots, pears, cherries, and glace apricots. Please note that some of the fruit may contain pits. All the foods are under OU kosher supervision. The Wholesome Choice Gift Tray is a perfect offering this holiday season.